When you partner with ProSource® of Richmond, you can design the beautiful kitchen your client wants at the budget they have set. Buying wholesale kitchen products is a great option for maintaining high quality, and we are proud to feature products from top manufacturers. 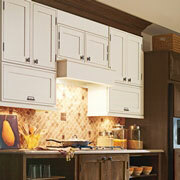 Because kitchen cabinets hang at eye-level, they are one of the first things that people notice about a kitchen. Having beautiful cabinets can set the visual tone for an entire kitchen, and they also provide valuable storage. Our kitchen cabinet selection is extensive, with cabinet products available from top brands like Dynasty, Kemper, and KitchenCraft. You can choose between more than 25 different wood types, ensuring that you have a cabinet finish that matches your taste and design concept. As a trade professional, you know how much cabinet hardware can improve a kitchen. Afterall, a beautiful cabinet is nothing without the hardware to go with it. At ProSource of Richmond, you can choose between all different types of hardware, such as pull, end caps, hook, knob, and more! 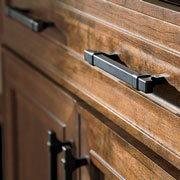 With different options for length and width, we can help you find the hardware that fits your cabinet. 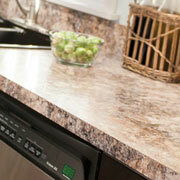 Has your client been dreaming of a granite countertop to replace their old formica? We have a broad selection of granite, quartz, recycled, and blended raw materials to make your kitchen remodel plans come to fruition. 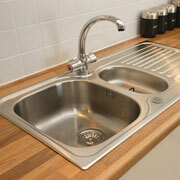 Explore our selection of kitchen sinks as you complete your remodel project. Our friendly team can assist you as you decide color, type, shape, material, faucet configuration, and more. Your sink is not complete without the perfect kitchen faucet accent. 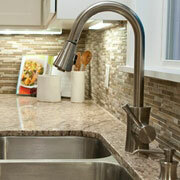 You can find the faucet to fit your kitchen design and use needs at ProSource of Richmond.